Cloud storage is clumsy – those continuous uploads and downloads makes the promise of “anywhere data” seem overrated. P2P file sharing cuts through the redundancy of having a storage server between the sharers but the protocol is slow, unsecured and thanks to piracy, not a solution that respectable businesses will adopt! 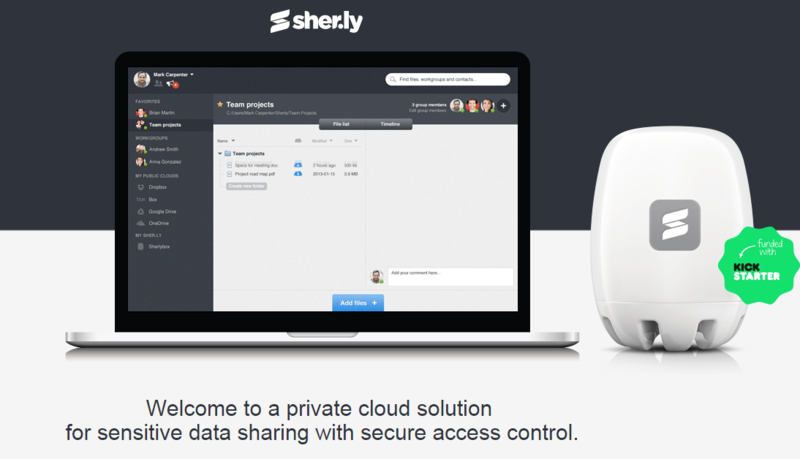 Sher.ly offers the best of both worlds and adds security features for sensitive data sharing. It has the superior collaboration tools of public cloud storage services like Dropbox but it lets you keep the files in your local storage like with P2P sharing. The duo were skeptical about the current cloud storage process – uploading your stuffs to someone else’s storage just to download it back multiple times over risky and inefficient protocol. “Being a fan of security we knew we can come up with better way to access and share data in secured businesses environments.” That’s how Sher.ly came about. They gathered a small team and started the journey towards Sher.ly with an ambitious project to combine VPN security with P2P topology for redundancy and ubiquitous availability. The company got European Union grant and developed what they called GatelessVPN and fused it with a privacy protection service. The technical side of PrivacyProtector.eu was robust but it was hard to monetize and so, in 2013 the project pivoted to Sher.ly which was presented as a “metadata access paradigm & smart sync solution.” Basically, it means that you do not carry all your data with you nor spread it in endless copies across all your devices. The team presented its first MVP at TechCrunch Berlin Startup Battlefield event in October 2013 and got 600 business signups in 2 days. Public beta was launched in November and a successful Kickckstarter campaign in June 2014 raised $154K for the Sherlybox – a Network Attached Storage (NAS) device with Sher.ly software running on top. The primary users for Sher.ly will be businesses focusing on data privacy. Law firms, medical companies, research facilities, financial and insurance institutions have highly sensitive data and they can’t risk security breaches that are possible with public cloud storage providers like Dropbox. The company is currently caught up in the production of Sherlybox for its Kickstarter backers from all over the world. They are hoping to finish the production by Q1 2015 and then focus on expanding business development in the US while keeping technical development local in Poland. Business plan is $599 a year which allows creation of 50 Sharing groups with each having upto 50 members, timeline (conversation) for each sharing group, automatic backup shared files on a storage, automatic file synchronization and support for company data servers. Until the Sherlybox launches, business plan is offered as unlimited trial. Sher.ly is free for personal use but you can create only one sharing group and third-party NAS is not supported. Visit their website for more details. Previous articleTip’d Off Lets You Invest With Confidence!